This website is provided by Beer Tourism, a company incorporated in England and Wales under company number 05048864. From time to time, this website may include competitions for which additional terms, which form part of these terms and conditions, apply. Please see Weekly Beer Tourism Giveaway Competition for these terms. Visitors to this website may be required to register in order to use its facilities. We are not under any obligation to accept a request for registration and reserve the right to suspend or terminate access at any time if your continued use is believed to prejudice us or other users. Our Commercial Partners and other third parties may occasionally promote their goods or services on this website or through other direct marketing initiatives. Whilst we try to encourage our partners to offer good quality products and services at competitive prices we have no control over them or other third parties, we do not endorse the products or services they offer, or give you any assurance that they will be suitable for your needs. It is your responsibility to satisfy yourself in this regard and we have no liability in connection with the same. 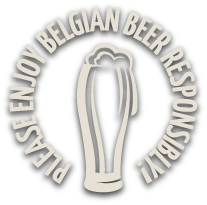 This website and the materials on it or provided to you through it are protected by copyright, trade mark and other intellectual property rights and laws throughout the world and are owned by, or are licensed to Beer Tourism and/or third parties. You are permitted to display the materials on this website on a computer screen and to download and print a hard copy for your personal use provided you do not alter or remove any of the content or any part of the website without our express permission to do so and that you do not change or delete any copyright, trade mark or other proprietary notices. We take care to ensure that all information available on our website about our services is accurate. Our services are continually developing and, occasionally, the information we put on this website may be out of date. We reserve the right to change such information at any time. Information provided by our Commercial Partners and/or other third parties is not checked by us and we have no responsibility for it. Any redress for such information should be made against the relevant Commercial Partner or third party. BEER TOURISM DOES NOT WARRANT OR REPRESENT THAT THE MATERIAL ON THIS WEBSITE IS ACCURATE, COMPLETE OR CURRENT OR THAT THE WEBSITE WILL BE FREE OF DEFECTS OR VIRUSES. NOTHING CONTAINED IN THE PAGES OF THIS WEBSITE SHOULD BE CONSTRUED AS LEGAL, FINANCIAL OR OTHER PROFESSIONAL ADVICE. DETAILED PROFESSIONAL ADVICE SHOULD BE OBTAINED BEFORE TAKING OR REFRAINING FROM ANY ACTION BASED ON ANY OF THE INFORMATION OR MATERIAL CONTAINED IN THIS WEBSITE. BY USING THIS WEBSITE YOU CONFIRM THAT YOU ARE OF LEGAL DRINKING AGE IN YOUR COUNTRY OF RESIDENCE. To enter the competition you confirm that you meet the entry criteria stated below. Information on how to enter & prizes form part of these terms & conditions. Any entry not complying with these terms and conditions is invalid. Winners must be over 18 years of age or over the legal age for lawfully purchasing alcohol in the country, state, province or territory from which you are viewing this website. Employees & their immediate families of the Promoter, the Promoter's associated companies and agencies are ineligible to enter. To enter, entrants must confirm their full name and email address on the website. By entering the Weekly Beer Tourism Giveaway Competition you agree to receive Newsletter communications from us electronically and that this electronic communications will satisfy any legal requirement for communications in writing. The winner will be selected at random and notified by email shortly after the draw’s closing date. In order for a winner to claim a prize, Beer Tourism requires picture identification which can be any or all of the following: driver’s license, passport and / or birth certificate. Beer Tourism reserves the right to examine additional identification and may choose to accept or deny awarding the prize based on the identification presented. Beer Tourism reserves the right to verify the validity of entries and reserves the right to disqualify any entrant for tampering with the entry process or for submitting an entry which is not in accordance with these Conditions of Entry.